It seems like the MLS Superdraft just lost a round. With two more team's joining MLS this year, it will be three rounds (54 picks) instead of the four rounds (64 picks) from last January's draft. Not a big deal, in the grand scheme of things. As of now, the Red Bulls will have the 13th, 25th, 30th & 38th overall picks in the Superdraft, which takes place on January 13th. The Business of Sports has named the opening of The Cathedral of Football as one of the top sports business stories of 2010. "When you're playing with a New Jersey team and you play all across the country, I felt that New Jersey had much more developed teams than anyone,'' Mr. Agudelo said. "Maybe California is similar, but New Jersey really is the capital of United States soccer." Well, that's just totally, but totally, spot on! I've seen the top youth teams in this great state, and in this region, play. The top kids, from the age of 12/13, are now in the Red Bulls Academy, the top Academy in this country. We're going to see some major players come up to the first team in just a few short years, I have no doubt. Could Red Bulls winger Dane Richards be heading to the Barclays Premier League? I doubt it, but this post, from the great MLS Insider blog, cites a Jamaican newspaper report which states that Mr. Richards might just have interest from 3 or 4 BPL clubs. "Don’t be surprised if Guillermo Barros Schelotto, whose option was declined by the Crew, takes less money to play with Henry and Marquez". Man, this would be a most excellent signing for the Red Bulls. I've been a big Barros-Schelotto fan from back in his Boca Juniors days, and I firmly believe that, even at 37, the Argentine Midfield Maestro has quite a bit of futbol left in the tank. 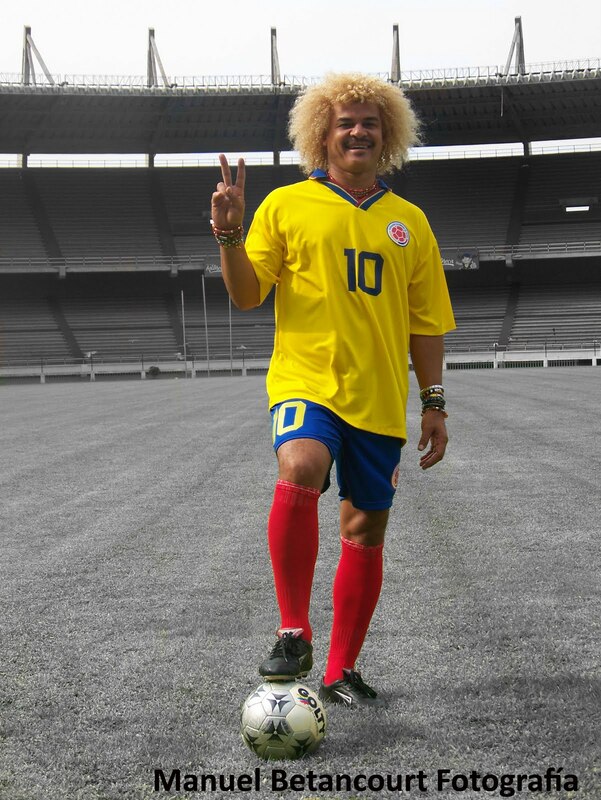 Many will say he's too old, or he's to slow, but I have just two words for those people: Pibe Valderrama. Make it happen RBNY! As it's almost MLS Superdraft time, Ives Galarcep, of Soccer By Ives fame, had a first round Mock Draft out this week. He's got the Red Bulls picking North Carolina Creative Midfielder Michael Farfan, with the 13th pick. Don't know anything about this kid, but if it's one thing the Red Bulls lack is a Creative Midfielder. Ives refers to Farfan as "one of the most creative players in the draft". Of course, my overall favorite would have to be the opening of The Cathedral of Football, Red Bull Arena, built by Makita. I know it's the same for all of you old school MetroBull fans, who watched hundreds of games at that lifeless cavern known as Giants Stadium. If you're in the mood, you can relieve the excitement of the Grand Opening by checking out my reports from back in March. Please click here for part I, click here for part II & click here for part III. My favorite moment from the Inagural Season @The Cathedral of Football would have to be Juan Pablo Angel's free-kick winner against Houston, from back in June. The Red Bulls, in the midst of a three game losing streak, really, and truly, needed that victory. The legendary Colombian delivered, by scoring his most important RBNY goal ever. Check out my post from this one by clicking here. You can also click here for a great video of the goal, with the great call by Cangelosi, commentary by Shep, scenes of the insanity which ensued & Juan Pablo interview. As far as the International game, well, it was a World Cup year. The greatest moment from South Africa 2010 has to be Landon Donovan's miracle goal against Algeria. I actually watched this one at work and when Donovan scored I went extra nuts. My co-workers ran out of their offices thinking someone was being murdered, but they quicky figured things out. Many thanks to my boss for being a good sport about this incident (ha, ha). Anyway, click here to watch Donovan's goal again, but with the great Andres Cantor call (which I prefer). You can also click here to watch the great fan reaction video that became so popular soon after. 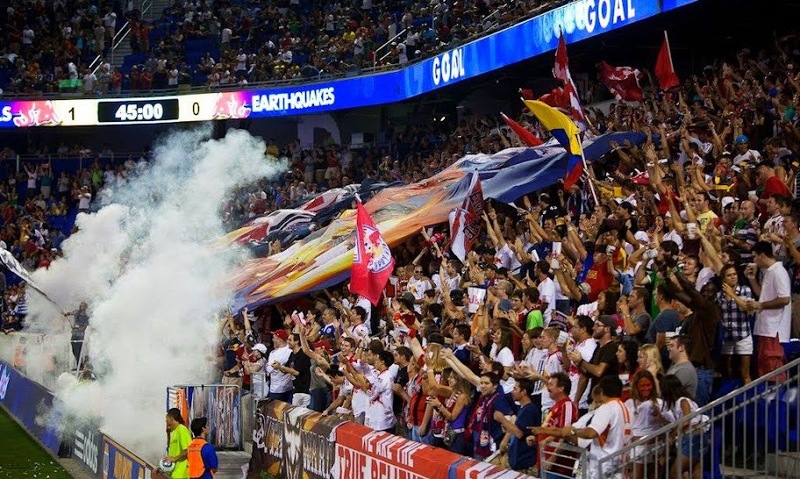 As far as a club level game of the year, there are a couple of Red Bulls games that come to mind. The only thing with that is that, at least for me, Red Bulls games usually involve lots of suffering. For me, as a neutral, the most fun-to-watch game was the great Concacaf Champions League game between Mexico's Cruz Azul and Real Salt Lake, from back in late August. This game was played on a pitch that, due to heavy rain, resembled a swamp. The late, great, Norberto Longo would have to call the fact that this game was even played as being "Insolito". That said, it featured an unbelievable finish, with 4 goals (2 to each team) scored in the space of the last five minutes. That's all for now Red Bulls fans. The big viper will see you next year!